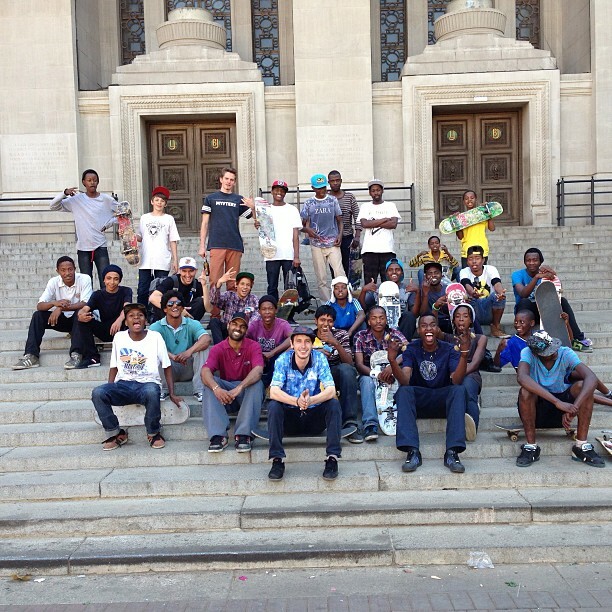 While most of the local skate scene was focused on the small town of Kimberley last weekend, over in Johannesburg Palace Skateboards rolled into the country for a week of skateboarding, partying and inner city exploration. Palace is a premium London based skate brand with a fast growing impact on both the world of skateboarding and further afield in the realm of streetwear. They were invited by the UK Council (along with 4 other London based brands) to take part in the STR CRD Urban Street Culture Event at Constitution Hill. 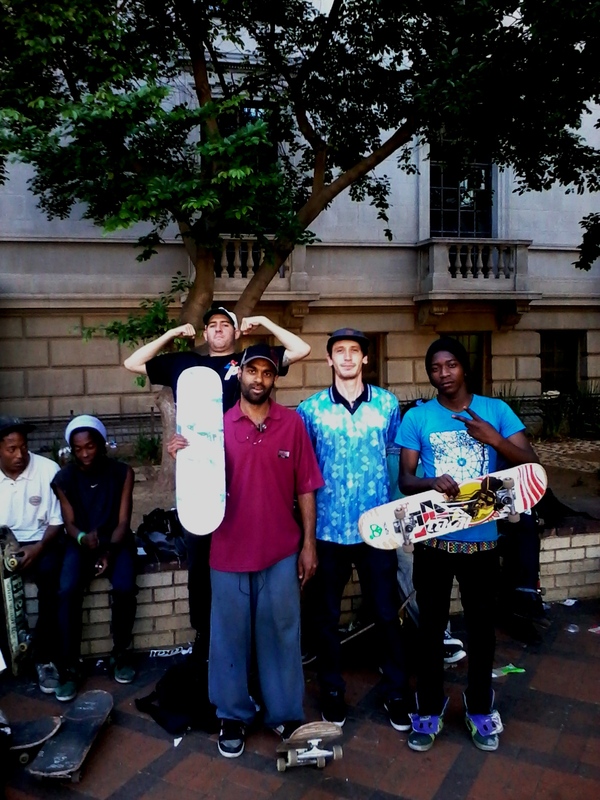 However, what they really came to do was go skateboarding and to see Johannesburg. The Palace team consists of names such as Danny Brady, Benny Fairfax, Chewy Cannon, Lucien Clarke, Shawn Powers and more. On this trip though, Palace Boss man Lev Tanju and Danny Brady were the only individuals to make the long journey south. 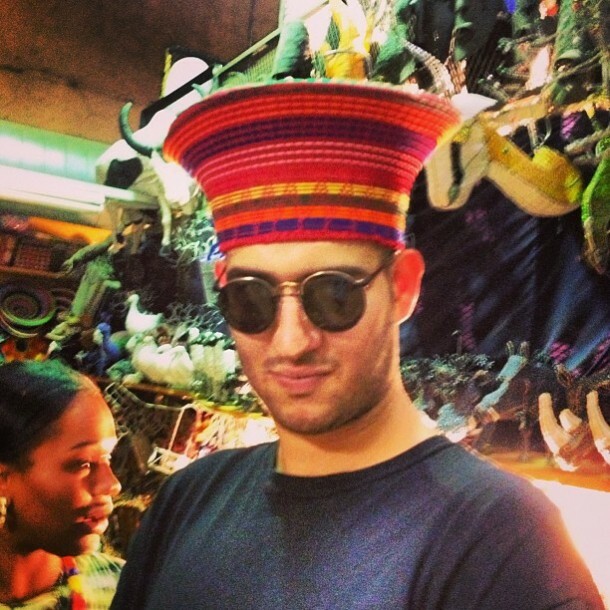 We cruised around downtown JHB on a few of the days they were in town. Danny has a new upcoming edit about to drop online soon and Lev filmed a couple clips with his infamous VHS camera, to which he duct-tapes a fisheye lens. The old school VHS camera is what gives Palace videos their signature style. On Saturday STR CRD was a disappointment because there was nothing to skate and most of the local skateboarders who turned up were left to wait outside the gates without a chance of entry (unlike previous years where a skateboard got you in for free). 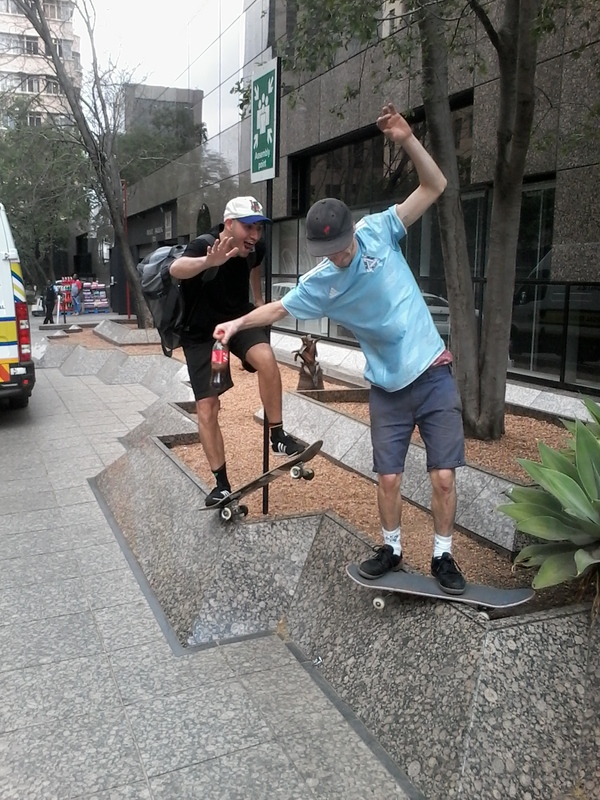 Therefore, Lev, Danny and I decided to ditch STR CRD and cruise downtown to skate with all the locals at LBGs. A big game of SKATE went down and JHB OG Pravesh Manga (Po) took the win. The Palace homies gave away a bunch of boards and stickers and Danny even gave away his shoes. It was rad to see foreigners getting hyped on a local city and the spots it has to offer. They have a different eye and appreciation for the potential of sketchy spots. Unlike a lot of pros who arrive in the country and complain if spots aren’t perfect. I have a feeling we will see more of Palace in South Africa, in the future. If you don’t know them, you should and I guarantee that you will. 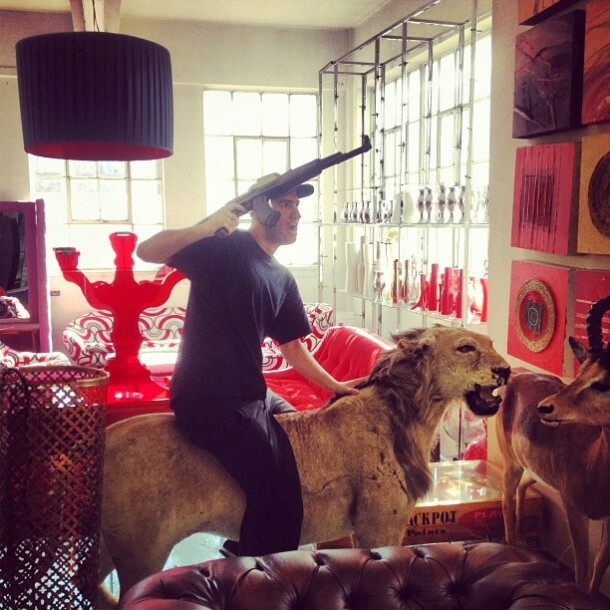 Lev gets down at a prop store during the setup for STR CRD. Lev feeling African style at Rosebank Craft Market. 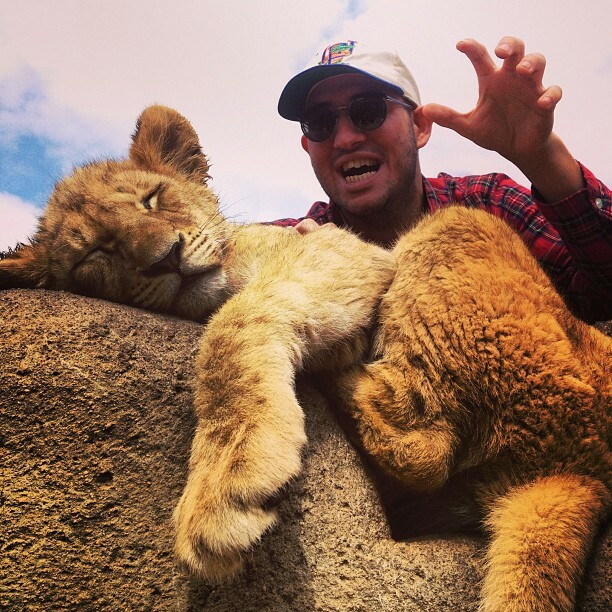 Lev taking on wildlife during an excursion to the Lion Park. Lev and Danny taking the piss at Angles whilst cruising around town on a midweek spot search. 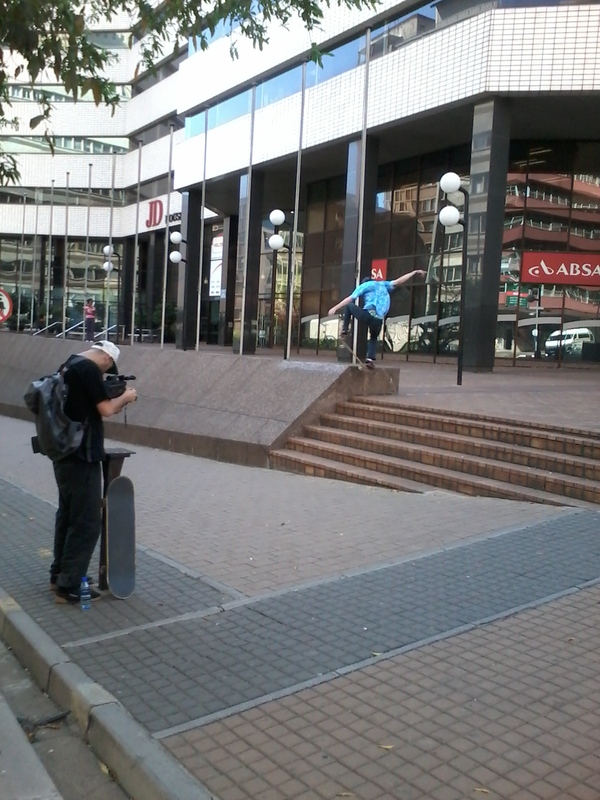 Lev films Danny’s ollie out to tailslide on a rough Braamfontein bank. Po gets a board from Danny after winning the Game of SKATE. 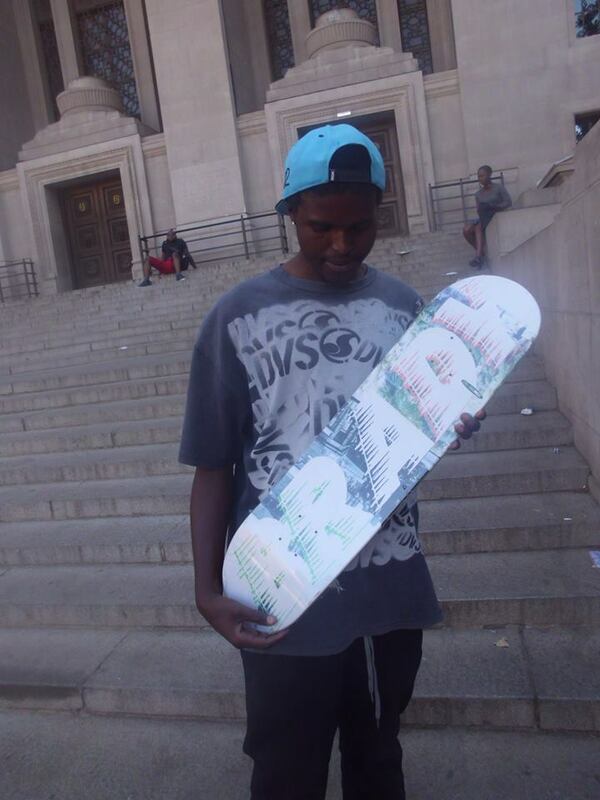 Danny’s Pro Model Palace board just got released and now it’s on the streets of JHB.